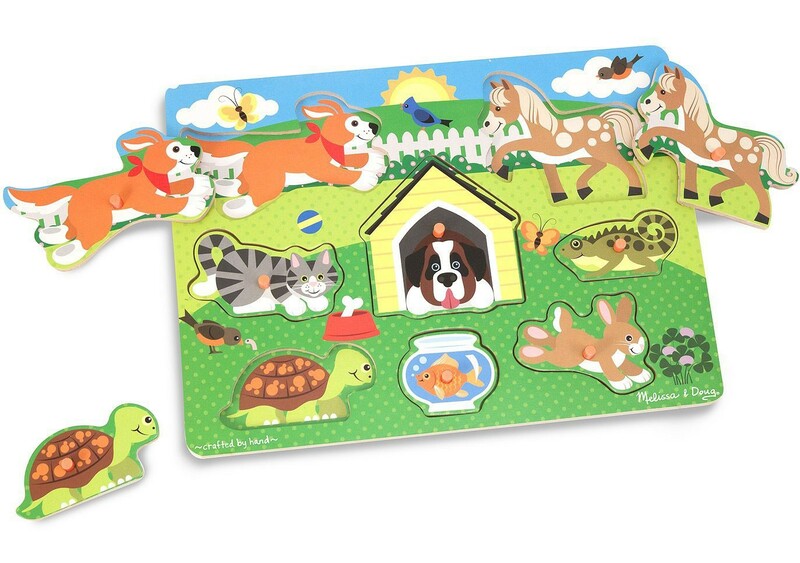 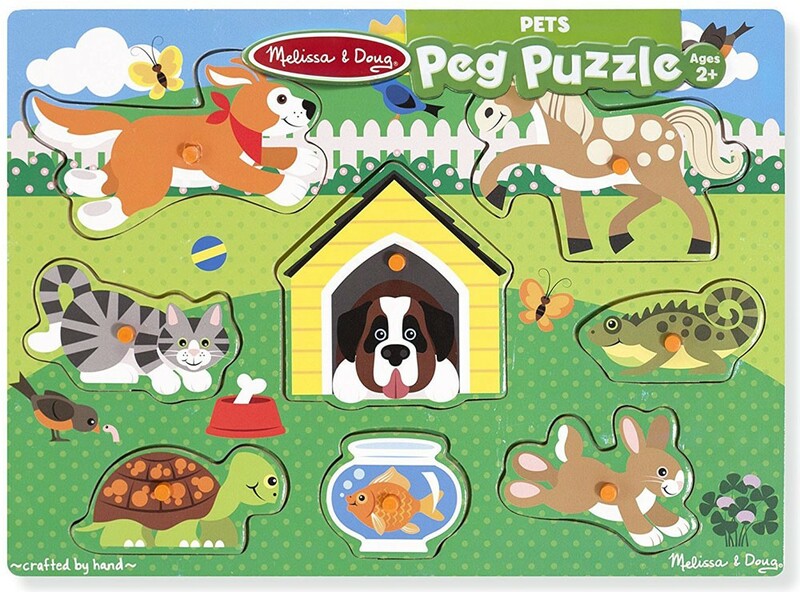 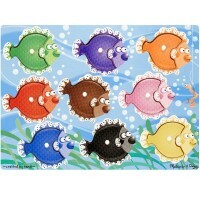 Meet the friendly pets from this first peg puzzle by Melissa & Doug. 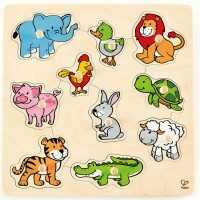 Get some new animal friends putting this first puzzle together! 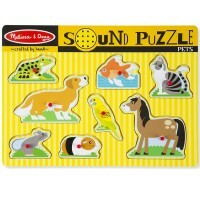 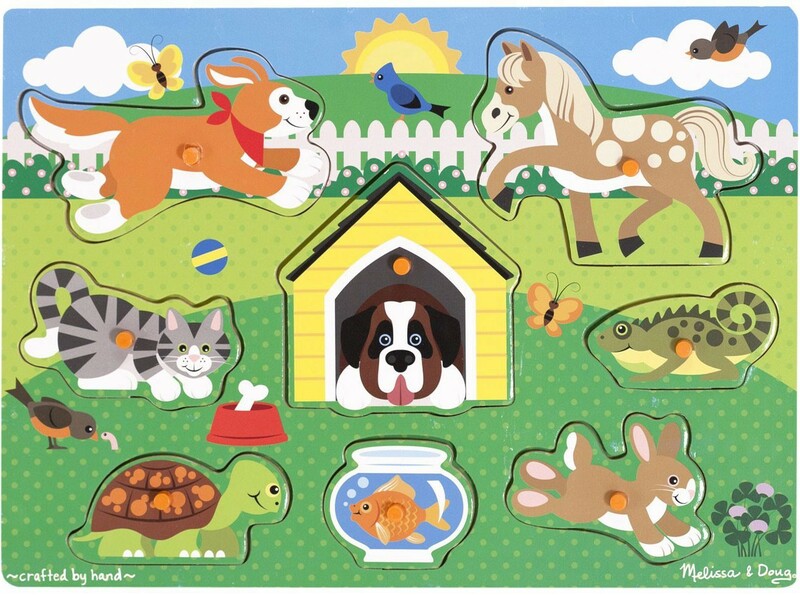 Pets Peg Wooden Puzzle by Melissa & Doug brings 8 pieces, each presenting one of the popular pets. 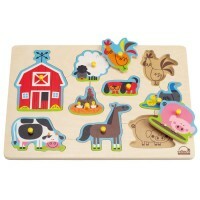 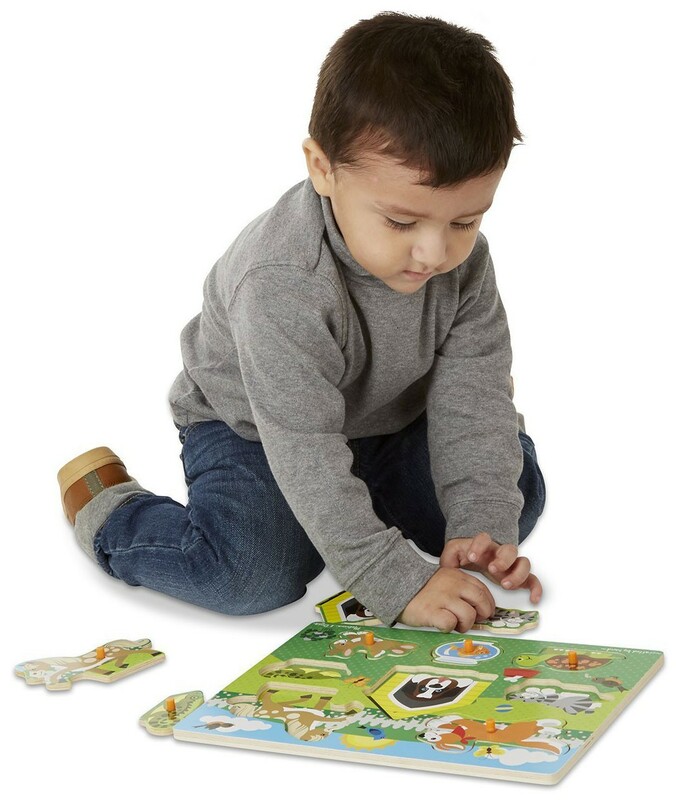 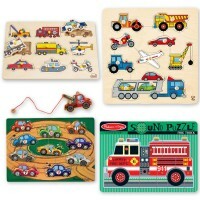 The lighter wooden puzzle pieces feature sturdy plastic pegs to make grasping easier for the little hands. 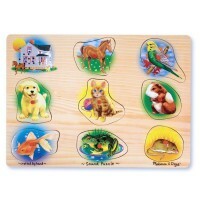 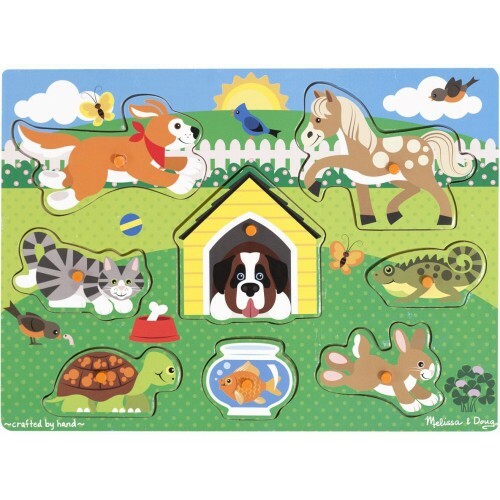 Pets Peg Wooden Puzzle has kids friendly illustrations of a dog, a cat, a horse, a turtle, an iguana, a rabbit, a fish in a tank, and a doghouse with another dog inside. 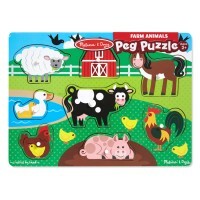 Find the right house spot for each of these pets or play with the sturdy pieces as figurines, this pets peg puzzle is perfect for the little learners. 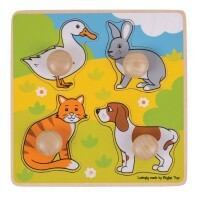 Write your own review of Pets Peg Wooden Puzzle.